Jerry Morrow has been an Intrepid Middle School coach since 2011. He coached Peters Township Girls Lacrosse Club for 5 years and Trinity Girls Lacrosse for 3 years. He was the Western Pennsylvania Scholastic Lacrosse Association’s Coach of the Year in 2010, 2013 and 2014. He joined the staff of Bethel Park High School in 2016 and is the Head JV coach. He currently serves on the Executive Boards of WPSLA as Secretary and Officials Training Coordinator and Intrepid as Coach Liaison. 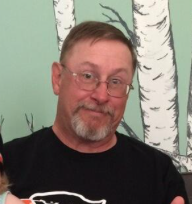 He lives in McMurray with his wife Betsy and is enjoying his professional retirement by filling his days with more lax and grandkids. Mr. Brian Kattan is the Varsity Women’s Head Coach at Mt. Lebanon High School. Coach Kattan began coaching with Intrepid in 2009. Brian has been involved with Girl's Lacrosse in Western PA for 13 years at the middle school and high school levels and has also coaches the girl’s USL National Team. Coach Kattan is the Head Coach at perennial WPIAL power Mt. Lebanon High School. Ms. Mindy Richmond is the Head Coach at Indiana University of Pennsylvania. Mindy was a Division II All-American at Gannon University under Coach Steve Wagner. She joined the Intrepid coaching staff in 2013. Click here to visit her bio on the IUP Women's Lacrosse team page. Coach Kelsey Van Alstyne was named the Head Coach at Slippery Rock University in July 2017 and immediately joined the Intrepid staff. Van Alstyne, a 2011 graduate of Bloomsburg with a degree in exercise science, returned to the Pennsylvania State Athletic Conference after spending three seasons as the head coach at Division III Morrisville State, where she led the team to a pair of conference titles, two NCAA playoff appearances and never posted a losing record. 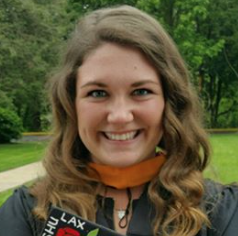 Click here to visit her bio on the SRU Women's Lacrosse team page. Ms. Katie Smolter has been with the Seneca Valley HS Girls Program since 2007. She attended Slippery Rock University where she played attack. Coach Smolter is a Western PA native who spent her HS career at Shaler Area HS. Currently Coach Smolter is an 11th/12th grade learning support teacher at Seneca Valley Senior HS. 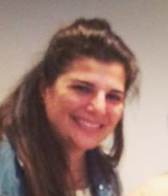 She has coached for Intrepid since 2014. She lives in Cranberry with her fiancé Mike and dog Jovie. Brenna Gallagher is currently the Head Women's Lacrosse Coach at Misericordia University. In her first year coaching at Misericordia the team reached the MAC Freedom Championship game, and reached the ECAC final for the first time in program history. The team landed 7 All-Conference players, while also collection the Rookie of the Year and Defensive Player of the Year accolades.The team ended with a 14-5 record, being the best record in program history. 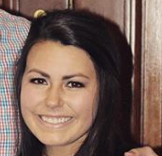 Click here to visit her bio on the Miscercordia Women's Lacrosse team page. Prior to coaching at Misericordia, Brenna played for Indiana University of Pennsylvania. During her time at IUP she was Rookie of the Year in 2012, and Second Team All Pennsylvania State Athletic Conference. She was a two-time captain in 2015 and 2016. 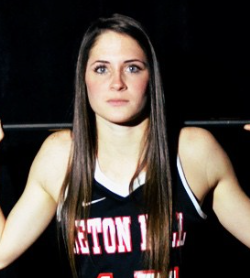 In her senior year at IUP she was awarded First Team All Pennsylvania State Athletic Conference, First Team All South Region, and Second Team All American. She was also awarded the Coaches Award. Brenna played for Intrepid Lacrosse Club and played for Seneca Valley High School. Coach Emily Hopkins spent 10 years as the Head Womens Lacrosse Coach at Slippery Rock Univeristy. During her time at Slippery Rock, Hopkins coached 17 All-Pennsylvania State Athletic Conference selections, eight all-region honorees and one All-America choice. Five SRU players were chosen to participate in the annual IWLCA North/South Senior All-Star Game under Hopkins as well. 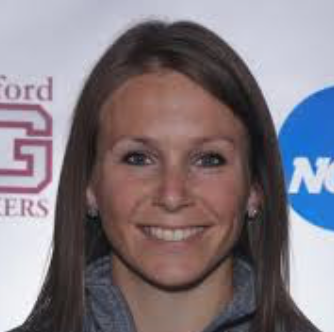 Prior to here career at SRU, Coach Emily coached at Tri-State University, Nichols College and Springfield College. 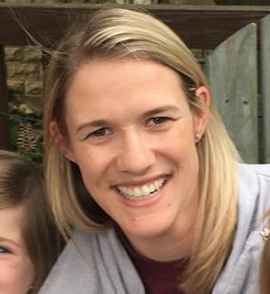 Hopkins earned both her bachelor’s (2004) and master’s (2006) degrees from Springfield, where she played three seasons of lacrosse and one season of soccer. She led her lacrosse teams to an NCAA playoff berth in 2002 and ECAC playoff berths in 2001 and 2003. Coach Emily has been with Intrepid since 2009 and currently lives in Evans City with her husband and three children. This is Julie's 8th summer with Intrepid and coaching the rising freshman age group. She is originally from Northern VA where she went to Annandale HS and played lacrosse and field hockey. She went on to play Division 1 lacrosse at James Madison University. During her sophomore season, the team won the CAA tournament and made it to the NCAA elite 8. She was a captain her senior year. After graduation, she moved to Pittsburgh and began coaching at Mt Lebanon HS and with Intrepid. She has been the varsity assistant and Mt Lebanon for 8 years and is also the head coach for their field hockey program. She lives in Mt Lebanon with her husband and two daughters. Coach Emma Simmers is an Intrepid 2010 graduate and has been coaching for Intrepid since 2016. Emma is a native of Pittsburgh, having attended Seton-La Salle High School swimming and playing soccer and lacrosse. She went on to play Division 2 lacrosse at Seton Hill University. As members of the PSAC, Emma captained her team for her junior and senior seasons to back to back playoff appearances. She finished her playing career as a 2x first-team all conference player, 2x first team All-Region, and 2x second-team All-American and being picked to play in the Senior All-Star Showcase. Living back at home in Pittsburgh, Emma works at PNC Bank and is the assistant coach at Upper St Clair High School. Coach Cassidy Schemm has been coaching with Intrepid for 6 years and has been working with the Intrepid Middle School for 3 years. She graduated from Peters Township High School and from there went to play Division II lacrosse at Slippery Rock University. She was the head coach at Trinity High School for 5 years. 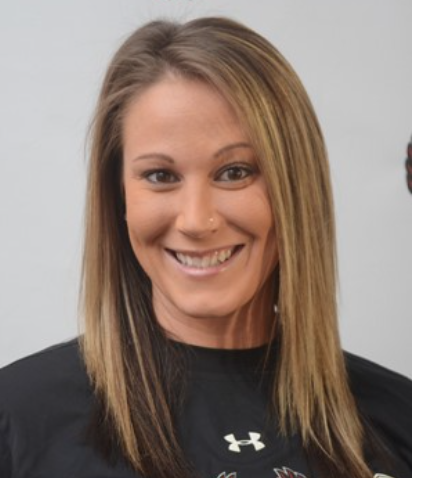 Coach Liz Bereit Click here to visit her bio on the Allegheny College Women's Lacrosse Team page. Coach Rachel Cibulas is a Pittsburgh native and a graduate & lax alum of both of Quaker Valley HS & Robert Morris University. She was the first female lacrosse player to sign the NCAA National Letter of Intent for RMU's inaugural lacrosse season and was a two time captain. She has coached collegiately at both the NCAA Division II & III levels, garnering the Coach of Year award for the MWLC Conference in 2012 & named US Lacrosse Magazine's "X-Factor" award in 2012 for Adrian College. Rachel received her Master of Science in Sport Management from Slippery Rock University in 2010 & is a Registered Athletic Administrator through the NIAAA. She lives in Sewickley with her husband, infant son and German Shepherd. 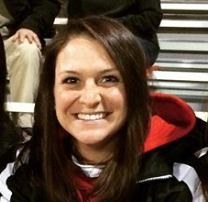 Coach Sarah Lamphier Click here to visit her bio on the SRU Women's Lacrosse team page. 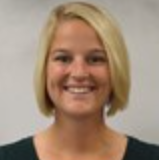 Coach Elise Miller joined the Intrepid goalie coaching staff in 2016. She is originally from Columbus, OH where she went to Olentangy Liberty HS and played lacrosse and field hockey. She was the starting goalie for her varsity lacrosse team. During her freshman year, she helped lead her school team to a Conference (OCC) Championship(2012) and Regional Runner-Up for States(2012). She was selected to play for Ohio at the National Tournament her Junior Year. During her senior year she was voted captain of her high school team and she helped again lead her team to become Regional Runner-Ups for States. She is a three-time 2nd Team OCC Conference and All-District Honorable Mention. Throughout high school, she was the starting goalie for the Lucky Lax travel lacrosse team playing in many summer and fall tournaments throughout the country. She has also been an assistant and goalie coach for Mt. Lebanon girls HS lacrosse team or 3 years. Elise is currently a Junior at The University of Pittsburgh where she is majoring in Media and Professional Communications. Coach Melanie Morgret is an alum of the 2013 Intrepid team and Peters Township High School, where she was a two-time WPIAL Champion. She played for four years at Seton Hill University women’s lacrosse team, a DII program and two-time PSAC semifinalists. 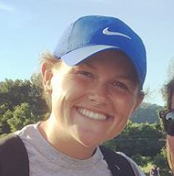 She has been a goalie coach for Intrepid since 2013 and is currently enrolled at Duquesne University of Law and is a Volunteer Goalie Coach with the D1 women's program at Duquesne under Head Coach Lisa Evans.